"Coppi drinks champagne and eats bananas. Bartali eats beans and drinks red wine." When the riders’ wheels meet the cobbles of France you enter another cycling dimension. Our venture began in 1997 because we love cycling, but the idea has deeper roots. We admire the values of a bygone cycling era, which we want people to learn about. It's a cycling era that has inspired lots of Italian literature, culture and music and that has also marked some Italian history. We want to spread the rootes and values of an extraordinary sport with a popular soul to re-discover the Beauty of Fatigue and the Thrill of Conquest. 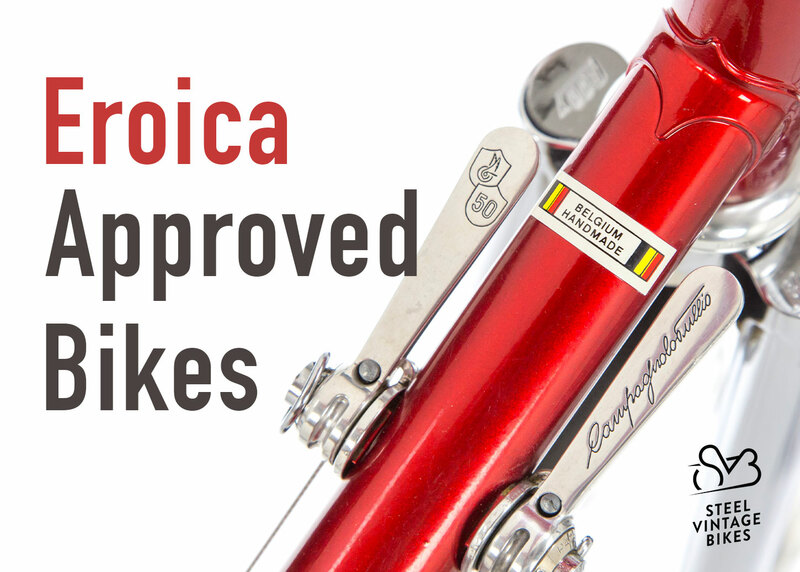 L’Eroica was born as a celebration of road cycling, of the history and values of this sport. L'Eroica and the other Eroca Events in the World are history inspired, therefore the participation in the events is reserved primarily to cyclists with original cycling vintage clothing or new vintange inspired cycling apparel, and riding Historical Bikes (Bici Eroiche) or Vintage-Looking Bikes, as illustrated in the dedicated section. To be informed about our events and to receive our other news, register for Lettera Eroica, our newsletter, which is sent once or twice a month.